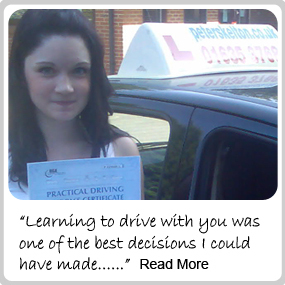 Peter Skelton Driving School is currently looking for new instructors to fill the large number of enquiries that we get each week. We are looking to offer instructors a chance to join a local driving school that has built up a good reputation for being; honest, reliable and committed to high standards over the past 13 years. If you are looking for a new challenge or a change of career path then please feel free to contact us about a great opportunity to take up a franchise with Peter Skelton Driving School. What we don’t do is to supply you with a car and the reason for this is simple. We don’t feel the need to be making money from you for car hire when you can simply rent your own which including insurance will cost approximately £78 per week or less. Another option would be to buy your own car which could possibly cost less per week. Now compare this to other franchise opportunities. Some of whom will supply a car and some who don’t. You will see for yourself what a great deal this is. Please feel free to contact us at anytime for more information.